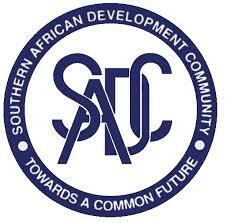 The SAIGF 18 is an annual forum of stakeholders drawn from SADC region to participate in the development of democratic internet policies for the SADC region. The overarching goal for SAIGF 18 is Promoting IG for Sustainable, Secure and Inclusive Digital Economy for Southern Africa. The annual SAIGF 18 is organised by SAIGF Multi-Stakeholder Coordinating Team(MCT) in collaboration with the Department of Telecommunications and Postal Services (DTPS) of South Africa. All stakeholders interested and dealing with internet issues are invited to the Durban Forum. In particular all National IGFs are expected to participate. All interested civil society organisations are invited to apply for sponsorship. Youth and Women are encouraged to apply. The sponsorship includes economy air travel, accommodation (bed & breakfast) and meals (lunch & dinner). Only candidates from civil society organisations are eligible to apply. Donations in cash and funding or equipment will help to extend Internet access to all in remote villages and underserved urban neighborhoods. The donations will support training for the next generation of Internet leaders, expertise and equipment to build Internet networks in communities that need access.